Besides utilizing the flexibility of the SmartFlex conveyor’s tight turns and long runs, the customer required a system that could accommodate multiple bottle sizes. Also, the customer needed a walk through area to access a capping machine. The SmartFlex lift gate was custom engineered for this application. 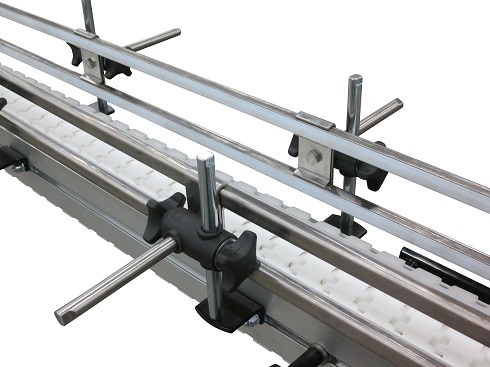 With a typical lift gate conveyor, the entire conveyor pivots using the motor as a counterbalance and a gas strut to assist in the lifting process. Click here to learn more about Dorner’s Engineered Solutions.